Our comprehensive general and family dentistry offerings include the full range of preventive care and treatments to help you maintain optimal oral health. We offer oral conscious sedation and nitrous oxide options for the comfort of patients undergoing complex procedures and for individuals who suffer from dental anxiety. Whether you are interested in porcelain veneers, tooth-colored fillings, or options that can beautifully whiten your teeth, we provide only the highest-quality cosmetic treatments and procedures. Dr. Keckley offers advanced orthodontic care to help you achieve and maintain straight, properly aligned teeth and a balanced bite, which can be fundamental to smile aesthetics and healthy jaw function. From dental implants to full mouth rehabilitation, Dr. Keckley is highly skilled and experienced in tooth replacement and procedures that restore both form and function to damaged teeth. Pain and discomfort as the result of problems in the jaw can have debilitating effects on your day-to-day life. Diagnosis and treatment for temporomandibular joint (TMJ) disorder can help you reduce many of the symptoms of this common condition. Obstructive sleep apnea and snoring are typically due to airway restriction during sleep, which can result in serious health problems and sleep disruption. 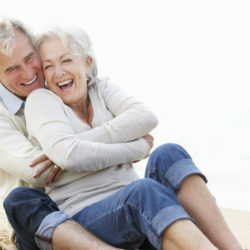 We offer custom oral appliances that can help you attain a more restful night’s sleep. Dental emergencies happen, and you can rely on Coronado Classic Dentistry to provide the urgent treatment you need. If you are suffering from pain, trauma, a lost tooth, or other dental issues, our team can offer immediate assistance. If you have questions about our dental care options, we encourage you to contact us today. A member of our team will be happy to assist you in scheduling an appointment with Dr. Keckley. 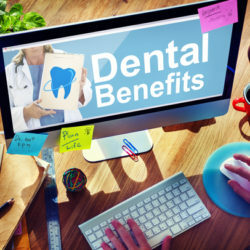 Don’t Let Your 2018 Dental Benefits & Health Savings Slip Away!